Baldwin Bone & Joint is a group of fellowship-trained orthopaedic surgeons, along with an experienced clinical staff. 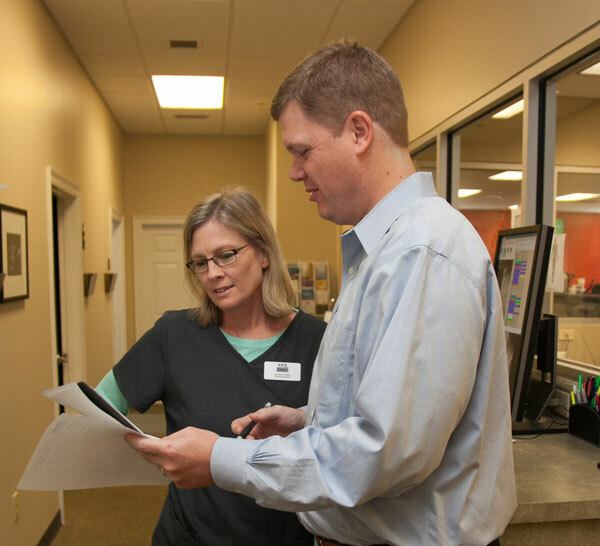 We are committed to providing each patient with the highest-level of specialized orthopaedic care in an environment where each individual and their family members are given time to ask questions and discuss their concerns. To continue to build our practice with a team of sub-specialty trained surgeons who provide multi-specialty orthopaedic services covering all facets of orthopaedic care; allowing our fellow residents of the Eastern Shore, Baldwin County and Mobile County, to receive their care near home in Alabama. Orthopaedics is the medical field dedicated to the diagnosis and treatment of injuries and diseases of the musculoskeletal system. This includes bones, ligaments, joints, tendons, nerves, and muscles. Common surgical procedures include total joint (hip, knee and shoulder) replacements and revisions as well as hip resurfacing which is a joint preservation surgery that is designed to optimize joint function and prevent or delay the need for joint replacement.